Organization charts are gaining popularity now. A strong organizational chart keeps your business running smoothly to overcome obstacles. With an increased number of people switching to Mac, reviewers, and tech blogs seem to focus on the growing demand for organizational charts software for Mac. The article will show you the top five org chart software for Mac users. 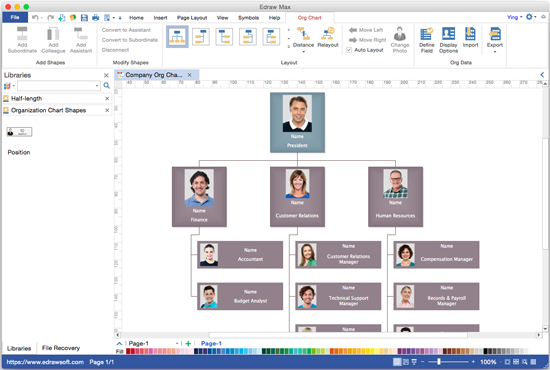 Edraw Org Chart Creator is a fast and user-friendly organizational chart design program based on multi-language options. It automates the design process with quick buttons, hence giving great convenience in creating professional-quality organizational charts with or without photos. Furthermore, it covers a large number of editable org chat symbols and templates thus you can get started quickly from an existing template. 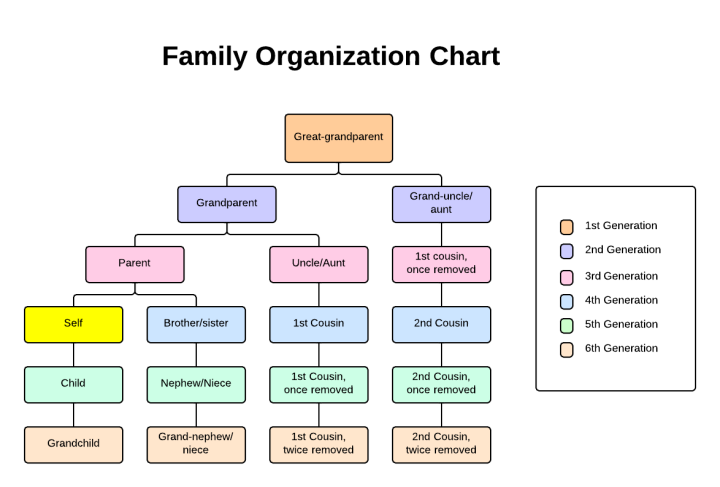 OmniGraffle is a versatile org char diagramming tool. It is an alternative to Visio for Mac. It can help you draw eye-catching cognitional charts effortlessly via offering styling tools, keeping lines connected to shapes even when they’re moved around. Your organizing diagrams will be generated in a few minutes. Whether you need a sketch or an epic technical figure, Raffle keeps it understandable. 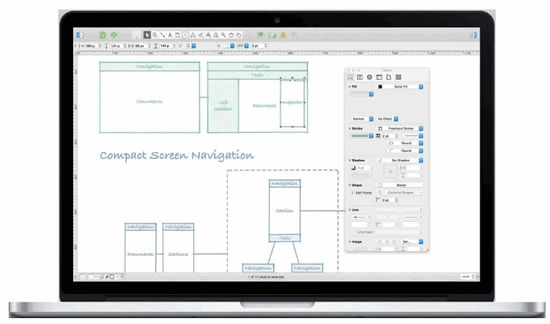 ConceptDraw is another organizational chart drawing software that fits Mac OS. With ConceptDraw, you are able to create org charts for different needs and business quickly and easily. 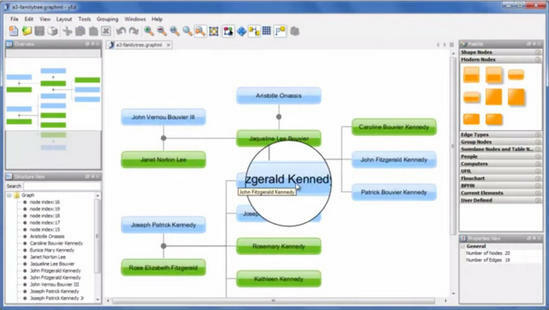 Tree Auto-connection mode allows you to draw an organizational chart in moments. yEd is a nice diagram editor for you to quickly create diagrams manually or based on external data. It can be used for the analysis and auto-arrangement for large data sets by just pressing a button. Besides organization charts. you can also use yEd to quickly create many other kinds of diagrams, graphs, and networks. You can choose from a wide range of layout algorithms to automatically arrange diagrams in no time. Lucidchart is another optional software for creating org chart on Mac. The drag-and-drop interface makes it much easier to insert your preferred icons and elements. To save even more time, you can use the built-in formatting tool to arrange your chart automatically.